Reviewing money skills doesn’t have to be humdrum! 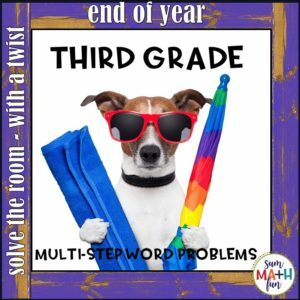 These counting money task cards are motivating and fun, yet challenging! There are five differentiated levels so all of your students can be working on “Building a Snowman” at the same time and at their very own level. 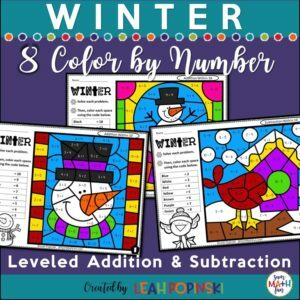 ⭐ The finished tasks make a great interactive winter bulletin board! 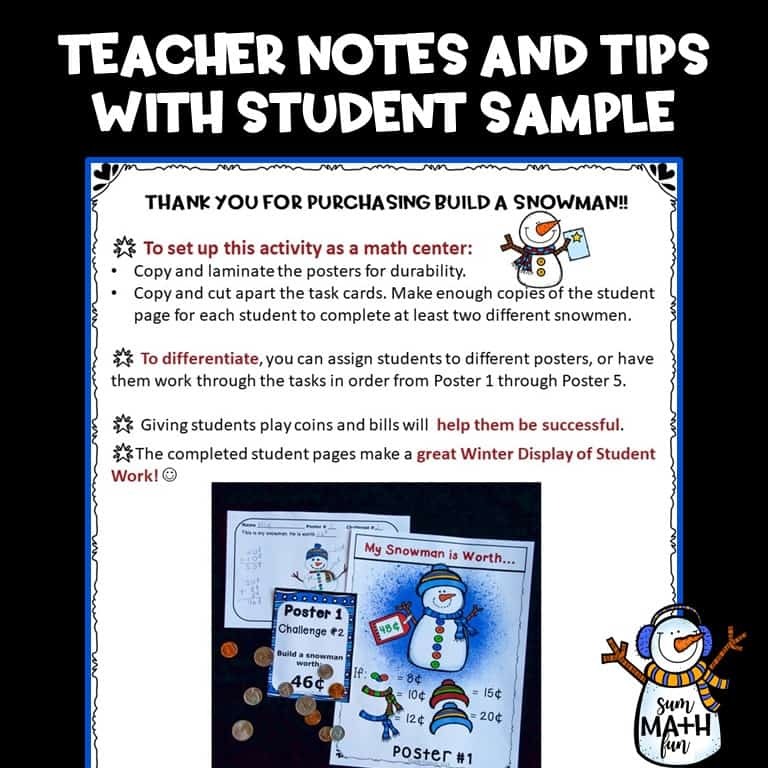 Students use their money skills, as well as problem solving, to build a snowman equal to the given amount of money on each task card. They draw and color their snowman to show their solution to the challenge. 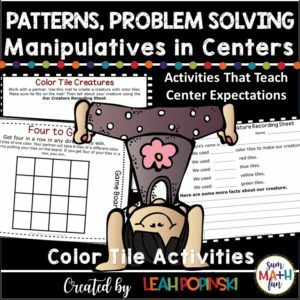 These tasks are great for using the guess and check problem solving strategy as well as reasoning! The tasks are aligned to CCSS 2.MD.8 and CCSS Mathematical Practices. 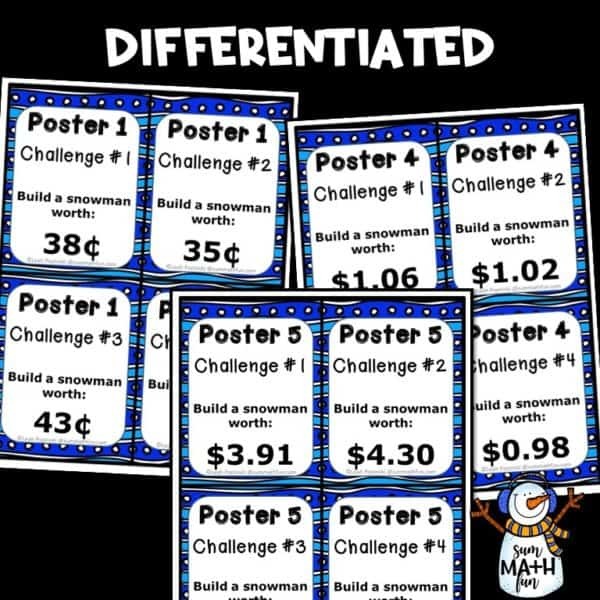 • 4 different task cards for each poster – students use the price on the poster to build a snowman worth that amount. • Student recording sheet for drawing and coloring snowman for each task. 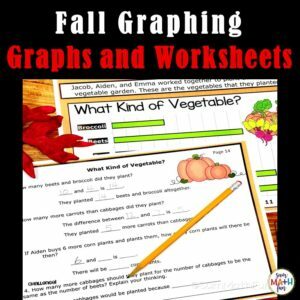 ◼️ Common Core Print and Go. 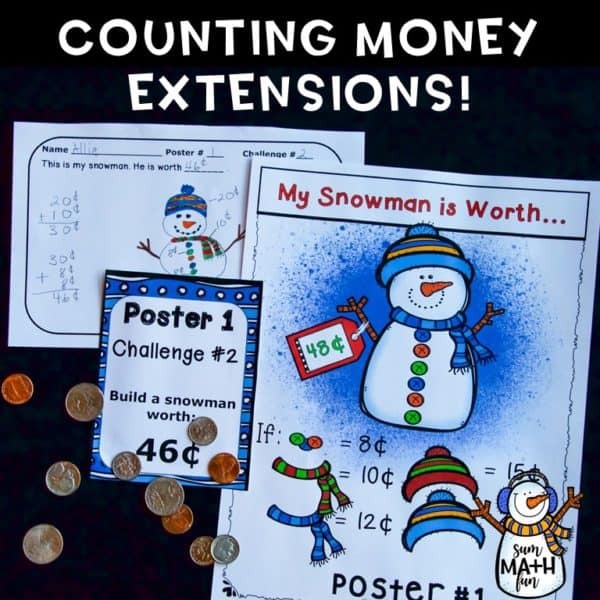 Just print, post the cute snowmen posters, cut out the task cards, and get set for the fun and learning! ◼️ Laminate to use year after year!